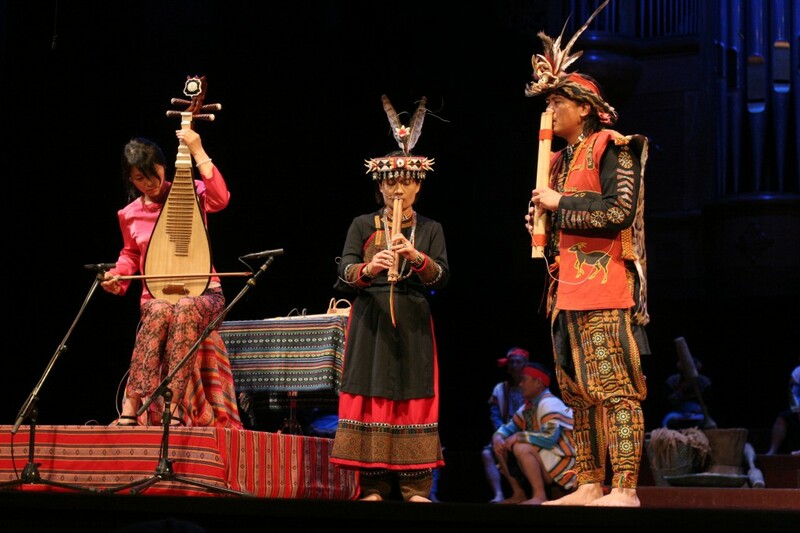 I have the honor to work with an incredible team of musicians and artists for the 2012 Taiwan International Festival of the Arts. 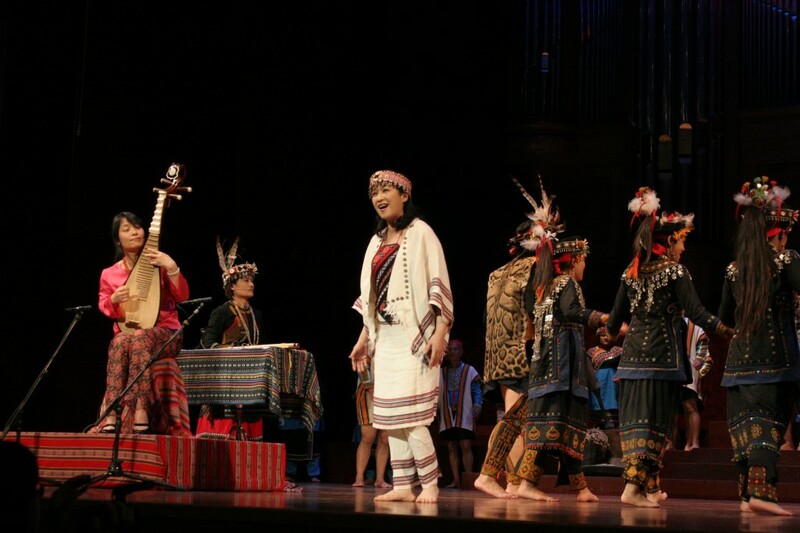 I designed a simple stage trying to capture the essence nature and mountains and choreographed the blocking and movement for the concert – “Wu Man and Aboriginal Friends” – which was premiered on the Main stage of the National Concert Hall in Taipei, Taiwan on March 24, 2012. 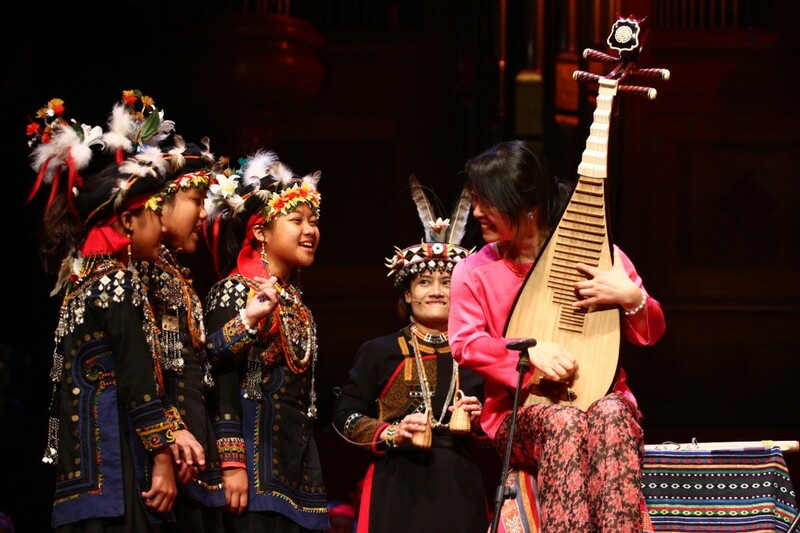 Wu Man who plays the pipa (Chinese Traditional instrument) collaborates with 32 Taiwanese Aborigines – Soprano Mewas Lin from Atayal tribe, Wulu Bunun Singers from the Bunun Tribe, and Sauniaw, Camake and the Taiwu Elementary School Folk Singers from the Paiwan Tribe. 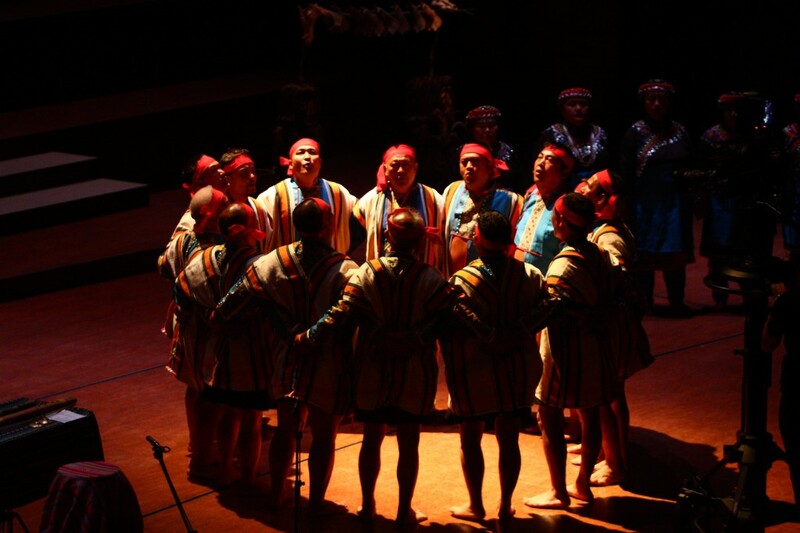 Together, they took the audience onto a beautiful musical journey that transforms the evening into a timeless celebration of Taiwanese Aborigines’ heritages, rituals, daily living in the mountain. 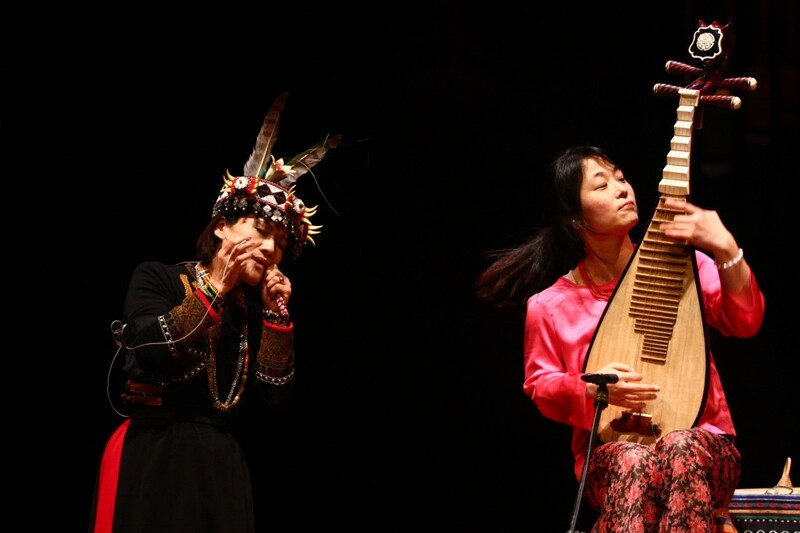 This performance is apart of 2012 Taiwan International Festival of the Arts performances, produced by Alice Chang and her assistant Melinda Juang. 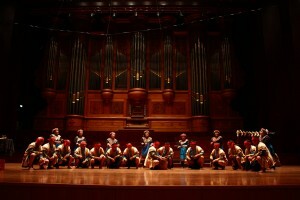 This entry was posted on Tuesday, May 22nd, 2012 at 9:29 pm	and is filed under Gallery, News. You can follow any responses to this entry through the RSS 2.0 feed.